The Tube Collection is one of our most popular collections - an exciting range of fine gauge loop striped designs all in 100 percent three ply Pure New Wool, with a pile weight of 1130 g/m2 and a tog rating of 1.15. Four and five metre width options are available in all designs and it is suitable for heavy domestic or heavy contract use, being anti-flam and anti-static, with the additional benefit of Scotchgarding, to ensure full versatility of application. This is a smart narrow two-colour stripe which coordinates with Centre Point. The seven colourways are all created using Centre Point colours, St Pauls -Ivory and Pebbles- ,Oxford Circus -Ivory and Clay- ,Notting Hill -Mushroom and Molasses- ,Holland Park, Onyx and Pebbles- ,Marble Arch -Ivory and Celadon- ,Shepherds Bush -Slate and Ivory- and Bond Street -Coal and Smoke. Combine the striped Mainline with plain Centre Point to create a stunning design. 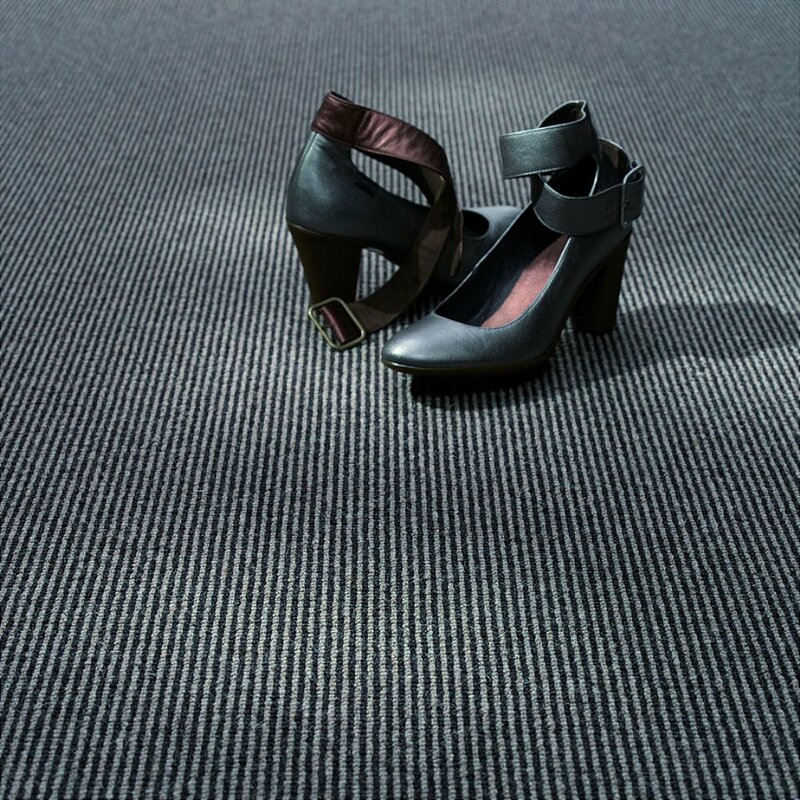 I would like more information about Mainline Carpet by Telenzo.